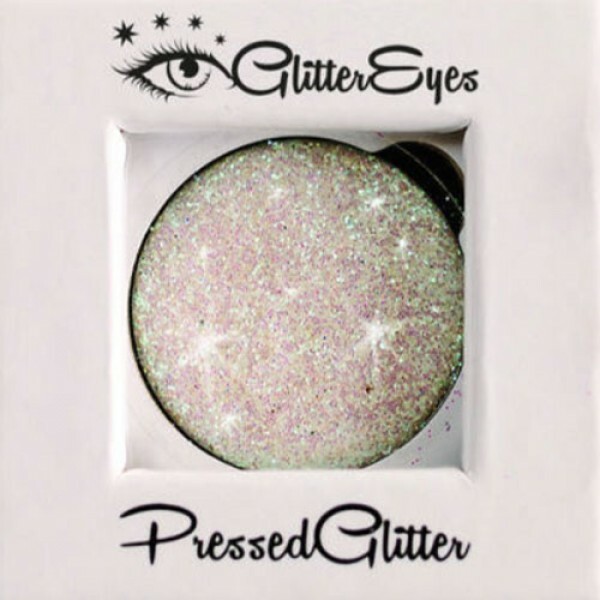 Glitter Eyes Pressed Glitter~GREAT BUY! For the Unicorn that dreams.Made for Unicorns who already have the length but want that extra volume.. The patented Dome Z Palette has all of the unique features you love in a Z Palette, PLUS an extra-de.. Introducing the Mini Z Palette! These portable, pocket-sized cuties are ideal for quick and di.. The patented Small Z Palette is perfect for on-the-go touch ups. If you're new to de-potting, .. Pressed glitters by Glitter Eyes are a dream to work with, no glue, no mess – they just glide on. They are just as super sparkly as loose glitters and stay on for hours. Easily wipe off and are waterproof too. They come in 26mm pans and are ready to be added to any Z-palette however if you prefer not to purchase a palette the do come in a small plastic pouch that we recommend you store them in, please be aware there is residue of the glitter that sticks around the outside of the plastic pouch if you decide not to purchase the palette, this does not affect the result and is not wasted product it is simply the top layer rubbing onto the plastic when inserted in and out of the pouch. We do advise you patch test a small area of your skin before applying in a larger amount or applying to a sensitive area to make sure you are not allergic to any of the ingredients. Our glitter is non toxic, EN7-1 approved and tested to EU cosmetic law manufacturers safety standards (1223/2009) which means it is officially safe to use on the skin. 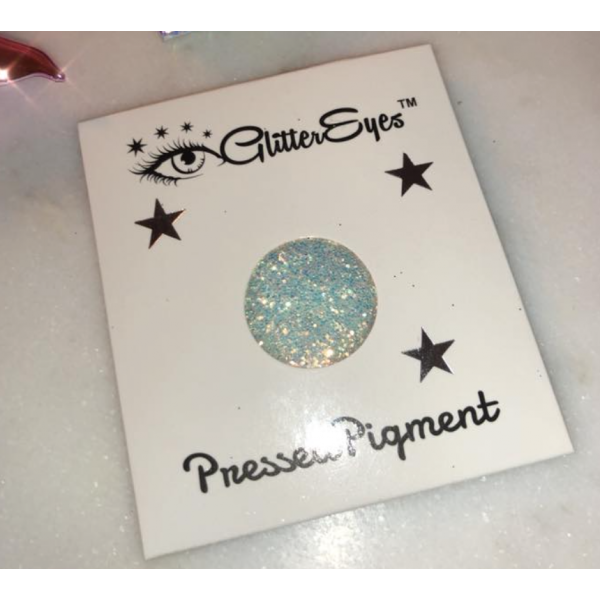 The Our Glitter are polyester based, made of rounded particles and soften when applied to the skin which makes them ideal for cosmetic applications. How you use the glitter is up to your discretion. What’s the difference between Cosmetic nand Craft Glitters? Our glitters are made from Cosmetic grade Glitter that does contain a preservative. Craft glitters and other non safe glitters are made of sharp plastic and/or metal which can harm your eye area. The sharp glitter pigments used in craft and other non eye safe glitters may also be coloured with toxic dyes that could potentially leak into the skin and eyes causing irritation and other complications – the dyes could also react with the fixative used and cause a reaction this way so please PLEASE make sure you use a cosmetic glitter on your skin. On the other hand cosmetic grade glitters that have been EN7-1 approved for use on the skin are made of polyester which softens on application, are cut rounded and not pointed like the cheap glitters and they will have been coloured using non toxic dyes. PLEASE take care of your eyes, you don’t have a spare pair, and wasting them on cheap toxic sharp metal glitters is so unnecessary. At GlitterEyes we advise you to use glitter at your own discretion.